Discover the sensation of moving life – the colours sounds and scents of distant destinations on the globe. Born to Fly offers you the world in a jar with an exciting blend of amazing ingredients that excite the senses and invite you to explore the unknown. 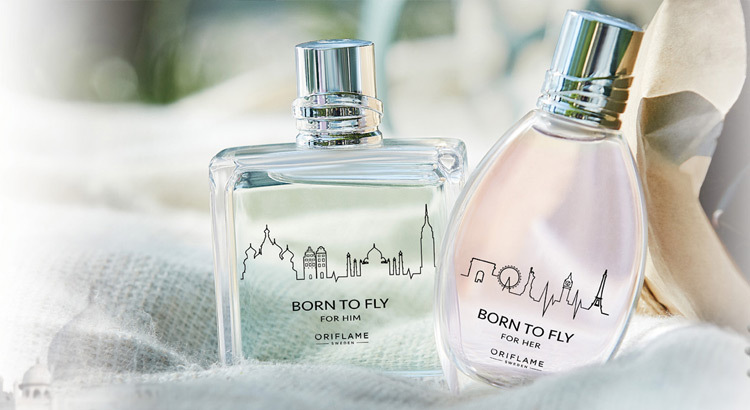 Meet the world with these two Oriflame fragrances. Be amazed by the chords inspired by the ingredients coming from different parts of the world. Let yourself be inspired and prepare to discover life together. The exciting top notes of this eau de toilette reveal effervescent mandarin, combined with notes of vibrant pink pepper, revealing a fragrance full of character. The female heart is composed of refreshing notes, inspired by the Nashi pear of Japan, followed by a textured trail of Agave Nectar and Amber, wrapped in sensual Sandalwood notes. The perfumer Fanny Bal was inspired by her passion for travel. He thus took advantage of the ingredients he knew during his travels around the world. Thanks to this, Born to Fly for Her personifies the adventure and the feminine side of each woman, that enriches us all. Embrace your adventurous spirit with a fragrance that captures the thrill of traveling. The unique chord of this fragrance is inspired by ingredients from various locations around the world. Examples are the Mexican Agave Nectar, Pera Nashi from Japan and Madagascar Pink Pepper. Pack your bags and travel with Born to Fly. 50 ml. This energizing fragrance opens with effervescent notes inspired by Japan’s Yuzu flower and Cameroon’s Penja Pepper for a refreshing start. The male heart is strongly inspired by Salva Esclareia and Lavandina de France, an aroma that resembles the sea breeze of Madagascar. The unique chord is inspired by the Agave of Mexico, combined with warm and rich notes of Amber of Patchouli, for a lasting track. Caroline Dumur , the perfumer behind this fragrance and who also signs other Oriflame fragrances , took advantage of this opportunity to create an aroma with ingredients unique to man. Caroline loves to travel and discover new places, cultures and new aromas. 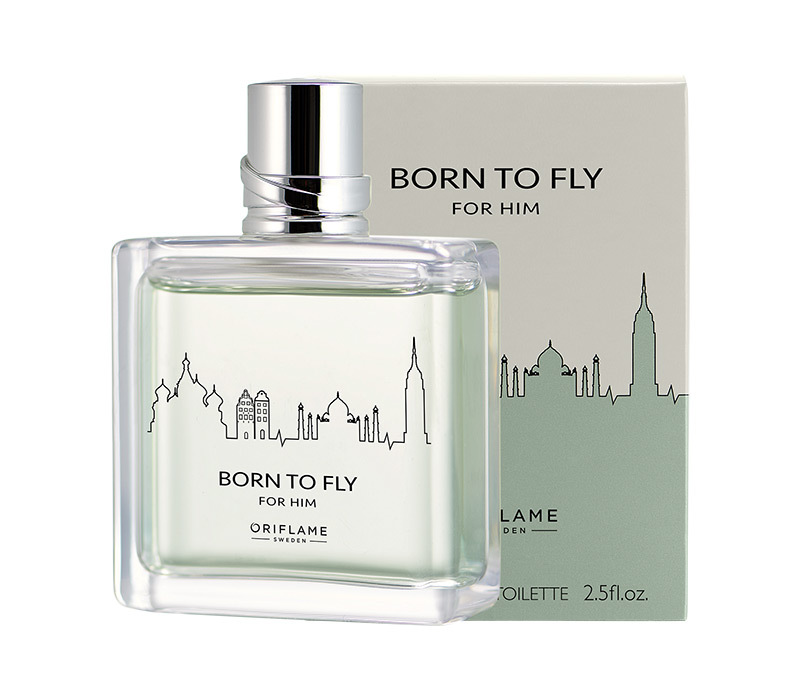 These scents translate into instant inspiration for fragrances like Born to Fly for Him. The heart of this exciting fragrance features a bold chord, inspired by Mexican Agave Nectar, Aromatic Sclare Salvia and Lavandina from French fields, and even Yuzu from Japan. An invitation to explore the world and live life to the fullest. 75 ml.